David Bourque is a Sessional Lecturer and Instructor of Clarinet and Bass Clarinet at the Faculty of Music. 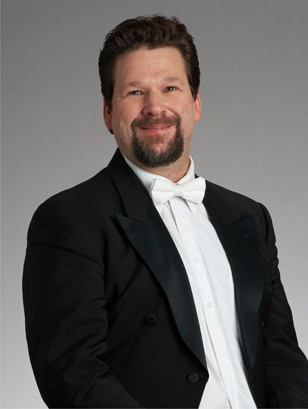 He played in the clarinet section of the Toronto Symphony Orchestra from 1983-2011 and has been a member of the orchestras of the National Ballet of Canada, Hamilton Philharmonic, Stratford Festival, and the Canadian Opera Company. 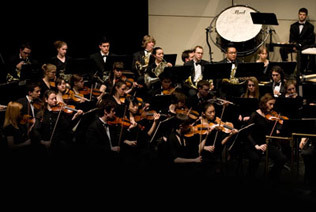 He has played and toured with the National Arts Centre Orchestra and L’Orchestre Symphonique de Montréal and has appeared as soloist with the Toronto Symphony, the Canadian Opera Company Orchestra and L’Orchestre Symphonique de Québec. Mr, Bourque is heard on hundreds of sound recordings: CBC Records, Centrediscs, commercial recordings and jingles. He played clarinet on the popular TV series ‘Road to Avonlea’ and can be heard in many films including ‘Moonstruck’ and ‘The Ice Storm’. David has a passion for the playing of and scholarly research in Harmoniemusik. He played Bassethorn I on the premiere recording of Barenreiter edition of Mozart’s 'Gran Partita' in B flat, K. 361 (Cristal Records) and has been a long time member of The Festival Winds. David edited first editions of Harmoniemusik of W.A. Mozart, the octets of K.V. Anhang C, published by Northdale Music Press and recorded by The Festival Winds. David has taught master classes at major music schools in Canada and the United States: Eastman School of Music, Northwestern University, DePaul University, the New World Symphony and he was an Adjunct Lecturer at Jacobs School of Music, Indiana University. A proponent of Canadian music, David has commissioned numerous works by Canadian composers. Faculty of Music Senior Lecturer Gary Kulesha has written seven chamber music works for Mr. Bourque as well as his Double Concerto for Bass Clarinet and Marimba. Mr. Kulesha and Mr. Bourque have recently recorded Duo (1977), Two Debussy Preludes (arr. 1982) and Ghosts (1989).